Get a Couple of Early Commitments. 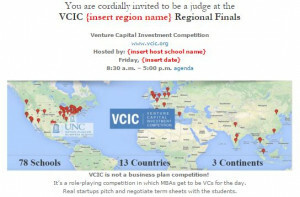 (sample judge invitation) Having a couple of early names helps get other VCs and recruit entrepreneurs. Luckily, we find that judges are generally amenable to committing early (unlike entrepreneurs, who expect to be funded any day). Your Target Should be Ten VC Judges. One reason the VCs come is to network with one another. You should end up with a minimum one judge per team (6). VCs only? Your competing teams are expecting venture capitalists; so most of your judges should be active institutional investors. Angel investors, serial entrepreneurs, retired VCs, accelerator coaches, etc., are all OK to have on the panel after you have plenty of VCs. Invite judges from past events. Take a look at past events in your region and invite some of those judges. Use Referrals. VCs love referrals rather than cold calls. If at all possible, get an introduction from someone who endorses VCIC. Otherwise, you’ll find a lot of skepticism. Needed All Day? You do need at least 4 judges there all day. Others may be invited for morning or afternoon only. One strategy to consider: go after high profile judges and offer them any part of the day, then use their names as you lock in others. VCIC Alumni. The best judging panels include at least one VCIC alum. 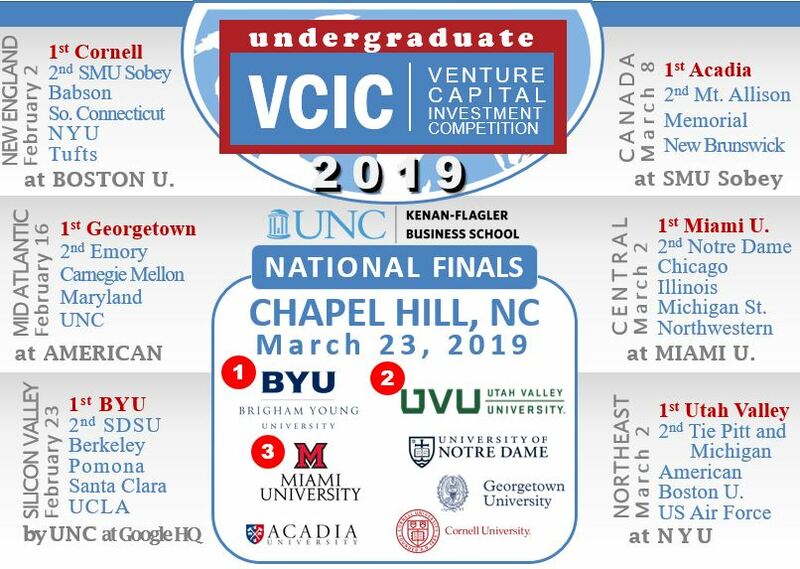 If you’d like a list of every student who has competed in VCIC from your school, email VCIC. or check the LinkedIn VCIC Group. How About Lawyers or Bankers? Service providers (lawyers, accountants, bankers etc.) are not preferred, but may be invited to judge or observe if they are sponsoring the event. Be careful not to compromise the integrity of the event by allowing an inappropriate judge.